The history of modern art is filled with various great figures and innovators, but the oeuvres of some of them are really iconic. The reason for that is the general approach to art, especially the accessibility of the images which they produced. Henri de Toulouse-Lautrec was an artist of immense creativity and unbelievable comprehension of what an artwork is and should be. The very mention of his name calls for the atmosphere of a bohemian lifestyle, the decadence of Montmartre and Moulin Rouge. He was a careful observer who captured the frenzy of the daily routine of the then-burgeoning artistic scene of Paris very well. 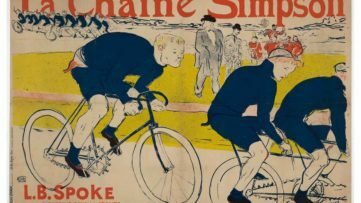 The highly innovative techniques of advertising posters and portraits of various figures which marked that period made Toulouse-Lautrec a renowned name in the world of art. His huge legacy is still a matter of interest for art historians and the wider public, so it is not unusual that an impressive exhibition titled Toulouse Lautrec – La Ville Lumière (Toulouse Lautrec – The City of Lights) is being held at Palazzo Della Cultura in Catania. It continues to celebrate the domains of one of the greatest artists from the beginning of the 20th century. The curatorial concept of Stefano Zuffi was to enable a sort of time travel for the visitors, since one hundred and fifty artworks ranging from posters, lithographs, drawings, illustrations and watercolors, to photos and period furnishings are being exhibited. The whole installment in Italy was divided into eleven thematic segments, through which Henri Toulouse-Lautrec’s work was interpreted in regards to the major historical, technological, social and architectural changes in late 19th-century Paris. 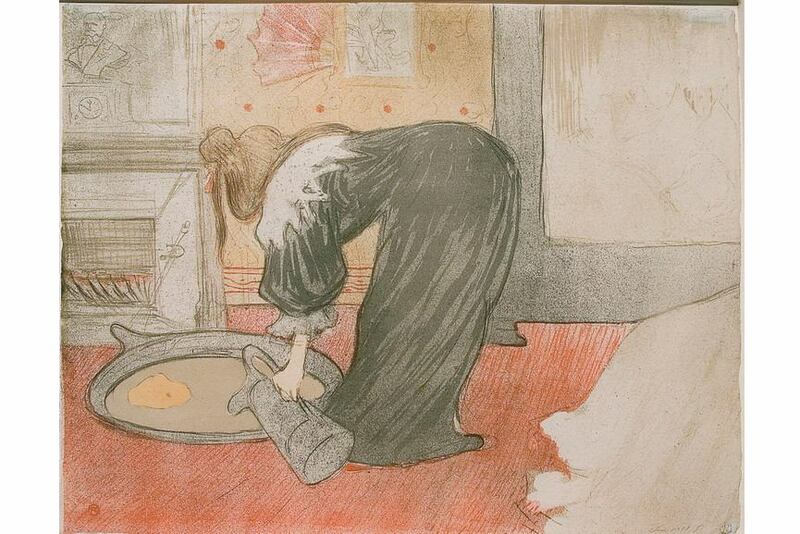 The first one is devoted to Toulouse-Lautrec’s study of engraving and lithography, a medium he was very fond of. Preliminary drawings, lithographic stones, first prints without writing and the definitive versions are shown in order to expose his process. The following three segments are focused on the Stars of the Parisian night scene: dancer and a Cabaret star Jane Avril, actor Aristide Braunt and actress and singer Yvette Guilbert. 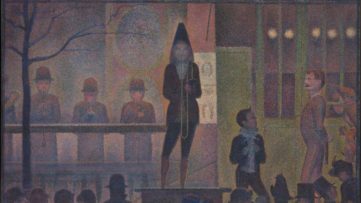 All the figures are represented in the midst of the action, the moment when they are on stage. It can be even said that Toulouse-Lautrec was sort of an Andy Warhol of his times, since he created popular imagery and the promoted the stars. These stylized illustrations works are characterized by bright and vivid color, bold and frivolous shapes and positions. The fifth segment represented a selection of pencil and pen drawings (mainly portraits of different people), which reflects the artist’s constant urge to produce art regardless of circumstances (illness, boredom, academic training, etc.). Under the title Satirical journals, the following segment included the selection of Toulouse-Lautec’s published projects. Mostly those were representations of political satire and gossips of high society figures. Perhaps the best known are the cartoons Toulouse-Lautrec published in the weekly L’Escaramouche (the skirmish) in 1893. The seventh segment is called The Moulin Rouge and Parisian shows and it leads the audience through the glamorous and decadent world of Parisian show business. The entertainment in the 19th century sprawled like never before, so Toulouse-Lautrec perfectly captured the development of the popular cabaret to more challenging performances and concerts at the opera house. Horses and riders shows how passionate the artist was about these animals and the races. Toulouse-Lautrec descended from the aristocratic family based on the countryside, so this sport was familiar to him. Books and publishing projects shows the audience how multitasking he was. It reveals a great dedication and meticulous approach to each detail of the printing process. 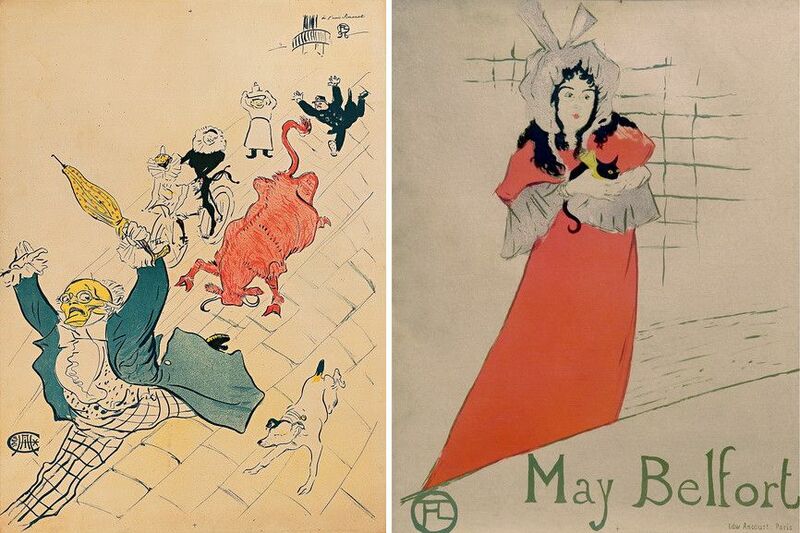 The tenth segment reveals the connection of Toulouse-Lautrec with other important figures of the time – from patrons and publishers, to poets, and the importance of the editorial office of the magazine La Revue Blanche where all of these figures gathered. The last part represents an ode to Toulouse-Lautrec’s devotion to women – their longings, desires, and emotions. The works depicting the ladies of the night reveal highly intimate portraits of women observed without the least intention to produce a caricature or a cartoon. 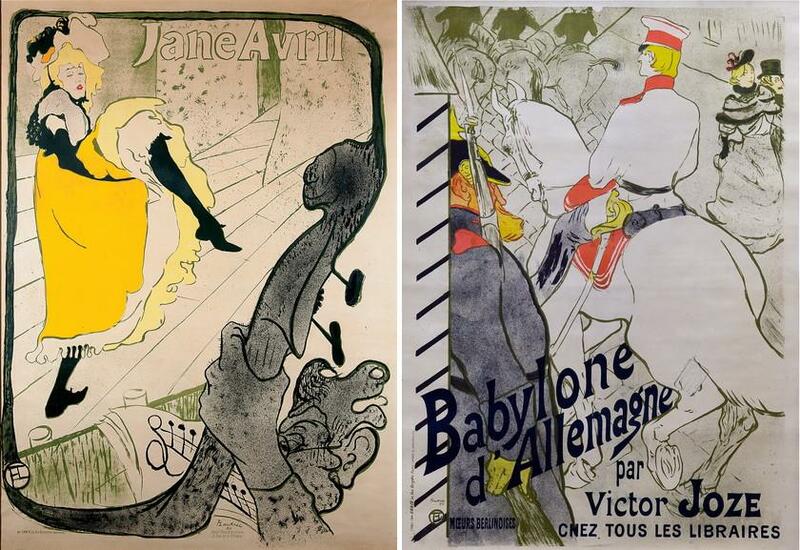 It is worth mentioning that perhaps the best-known works of Toulouse-Lautrec are shown at this exhibition from advertising posters (like Aristide Bruant in his Cabaret and Divan Japonais, both from 1893), color lithographs (such as Jane Avril, 1893), promotional graphics and illustrations for journals (such as the mentioned La Revue Blanche in 1895). 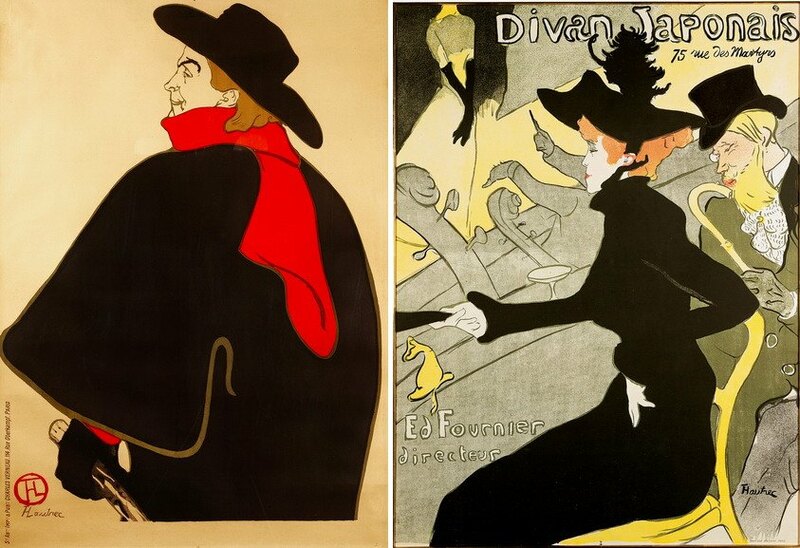 All of these works have become iconic not only in the context of Belle époque but of entire modern art history. 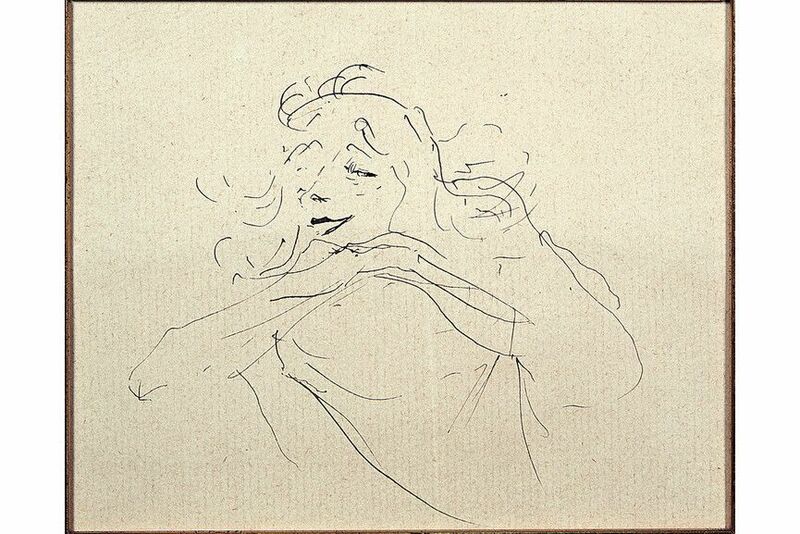 The exhibition shows the great cultural influence of Henri de Toulouse-Lautrec by carefully dissecting his oeuvre. Furthermore, it provides a unique opportunity to reveal different layers of his complex practice and his personality. 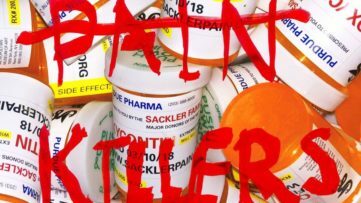 Despite the immobility and the health problems, as well as the alcohol abuse, the artist was ahead of its time due to the revolutionary shift he made by combining different approaches within a then strict notion of an artwork. This amazing overview of the work of Toulouse Lautrec would not be possible without the promotion provided by Comune di Catania, production, and organization provided by Arthemisia in partnership with the Comune di Catania and with the collaboration of Herakleidon Museum in Athens, which loaned the artworks. Toulouse Lautrec – La Ville Lumière is on view in Catania until September 9, 2018. 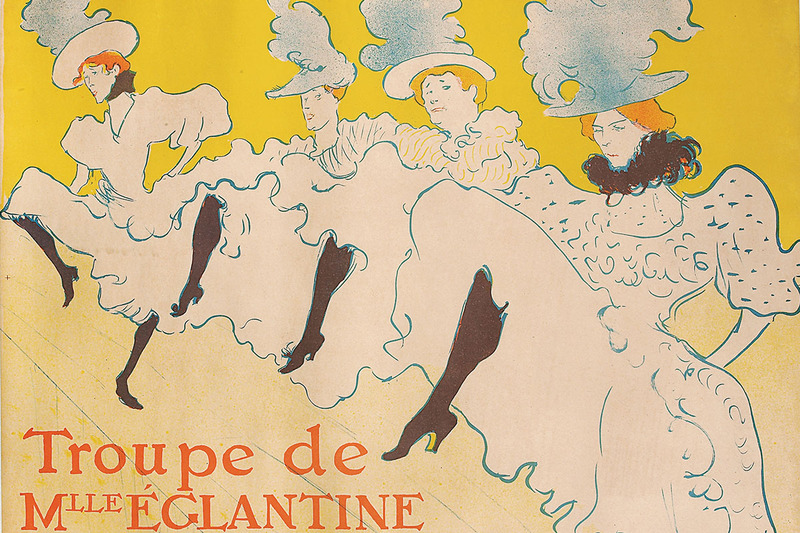 Featured images: Henri de Toulouse-Lautrec – Troupe de Mlle Églantine, 1896. Color lithograph, 61,7 x 80,4 cm © Herakleidon Museum, Athens, Greece; Femme au tub, 1896. Color lithograph, 40 x 52,5 cm © Herakleidon Museum, Athens Greece; Study of Yvette Guilbert (I), 1894. Drawing pen and ink on paper, 11 x 12 cm © Herakleidon Museum, Athens, Greece. All images courtesy Arthemisia.